Indian actress Priyanka Chopra is now Priyanka Chopra Jonas on Instagram. There is, however, no change on Twitter and Facebook. 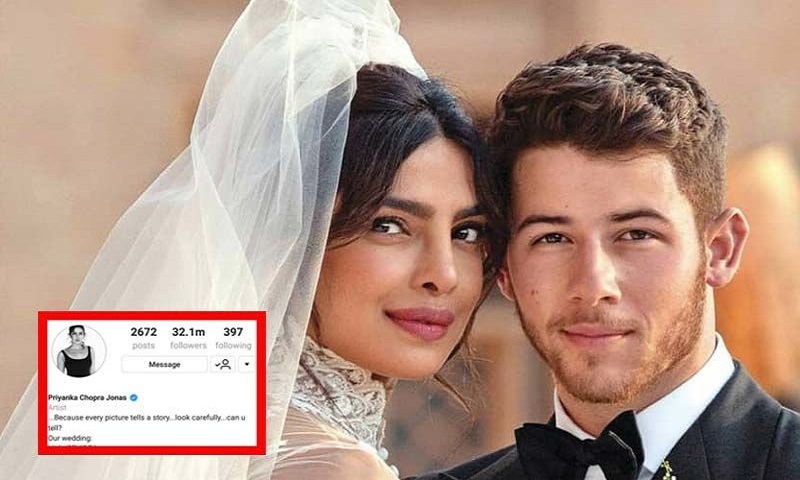 The name change comes just one day after Priyanka and Nick Jonas, who tied the knot last week, made their first appearance as a married couple at the launch party of Bumble, a dating application, in New Delhi. Recently, The New York Mag’s TheCut article published an article by journalist Mariah Smith, who called Priyanka, “global scam artist”, who tricked young Jonas, into a lifelong commitment when all he really wanted was a fling. “Priyanka: She is a modern-day scam artist, in my opinion. That’s right: Nicholas Jonas married into a fraudulent relationship against his will this past Saturday, December the 1st, and I’ll tell you why I think so…,” it read. After the article got circulated on social media, it garnered huge flak from some of the members of Indian film fraternity. “Priyanka and Nick are finding ways for their ‘love’ make them money – circumventing the methods used by the celebrities of yore, who stuck to selling their wedding or baby photos to magazines,” the article added. Indian celebrities like actresses Sonam Kapoor Ahuja and Swara Bhasker, and singer Sona Mohapatra, have criticised journalist Mariah Smith for writing a “racist” article. Their pre-wedding rituals at the celebrations, which saw participation from just a little over 200 guests, included a “mehndi” (henna) ceremony. There was also a glitzy musical evening, reports Mid-Day.